The dueling piano bar that has called Historic City Market home for 15 years will be temporarily moving across Downtown Raleigh to Seaboard Station as owners continue to firm up details for a future permanent home. 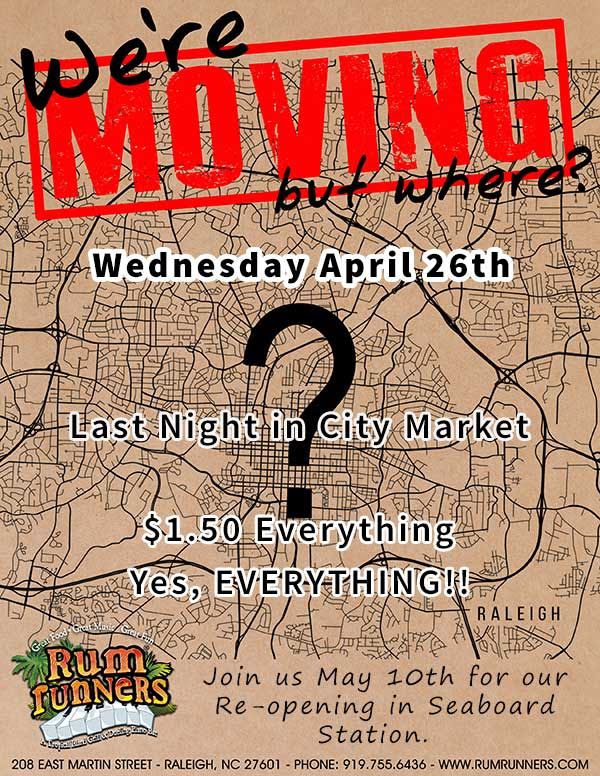 Wednesday, April 26, 2017, will mark the bar’s last night in City Market, where they’ll be clearing out as much remaining alcohol inventory as possible. All drinks will be $1.50 – top shelf, draft beer, and mixed drinks.